Also of significance, Japan’s Prime Minister Abe and President Putin will also be meeting in Vladivostok on September 6, on the sidelines of the Eastern Economic Forum. What should be envisaged is the eventual signing of a bilateral Entente between the DPRK and the ROK, with a view to establishing Peace on the Korean Peninsula. In other words, the “state of war” between the US and the DPRK (which prevails under the armistice agreement) should in a sense be “side-tracked” and annulled by the signing of a comprehensive bilateral North-South peace agreement, coupled with cooperation, trade and interchange. In this regard, what underlies the 1953 Armistice Agreement is that one of the warring parties, namely the US has consistently threatened to wage war on the DPRK for the last 64 years. The US has on countless occasions violated the Armistice Agreement. It has remained on a war footing. Casually ignored by the Western media and the international community, the US has actively deployed nuclear weapons targeted at North Korea for more than half a century in violation of article 13b) of the Armistice agreement. More recently it has deployed the so-called THAAD missiles, which are also directed against China and Russia. The fundamental question to be addressed is the following: How can the 1953 Armistice agreement be replaced by a Long-lasting Peace Agreement given Washington’s persistent refusal to enter into negotiations? 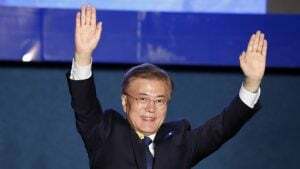 Supported by the Candle Light movement, Moon Jae-in’s presidency potentially constitutes a watershed, a political as well as geopolitical landmark. President Moon Jae-in had worked closely with president Roh Moo-hyun (who pursued the Sunshine Policy). Moon was his chef de cabinet. President Moon has confirmed his unbending commitment in favor of dialogue and cooperation with Pyongyang, under what is being dubbed Sunshine 2.0 Policy, while also maintaining the ROK’s relationship with the US. In the present context, Washington controls the ROK Ministry of Defense and has de facto control over ROK foreign policy as well as North South Korea relations. Under the OPCON (“Operational Control”) agreement, the Pentagon controls the command structure of the ROK armed forces. In 2014, the government of President Park Geun-hye postponed the repeal of the OPCON (Operations Command) agreement “until the mid-2020s”. What this signified is that “in the event of conflict” all ROK forces are under the command of a US General appointed by the Pentagon, rather than under that of the ROK President and Commander in Chief. It should be understood that a US led war as formulated by Defense Secretary Mad Dog James Mattis against North Korea would engulf the entire Korean nation. The US sponsored state of war de facto is directed against both North and South Korea. It is characterised by persistent military threats (including the use of nuclear weapons) against the DPRK. It also threatens the ROK which has been under US military occupation since September 1945. Currently there are 28,500 US troops in South Korea. 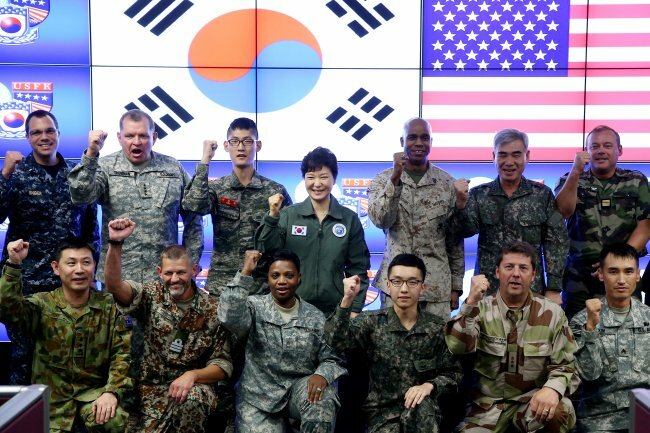 Yet under the US-ROK OPCON (joint defense agreement) discussed earlier, all ROK forces are under US command. What has to be emphasized in relation to Sunshine 2.0 Policy is that the US and the ROK cannot be “Allies” inasmuch as the US threatens to wage war on North Korea as well as South Korea. 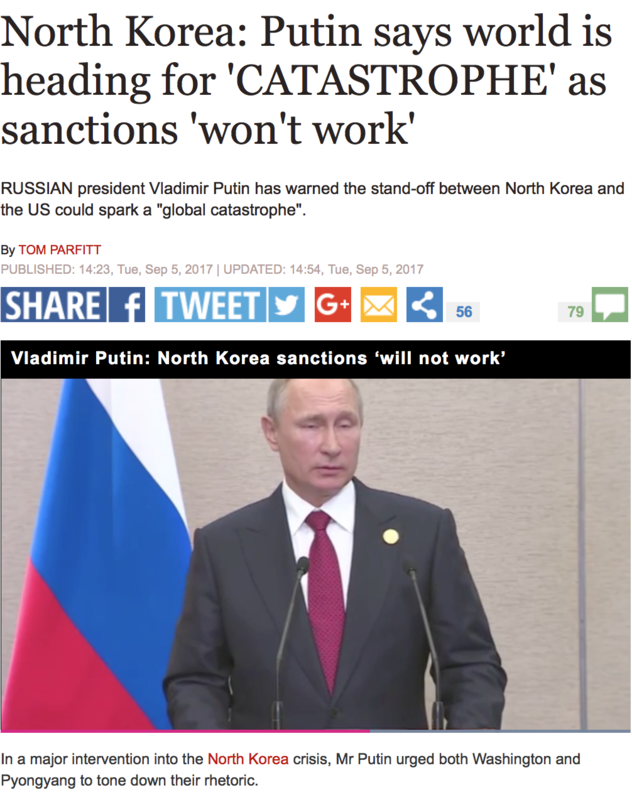 The US is in a state of war against the entire Korean Nation. And what this requires is the holding of bilateral talks between the ROK and the DPRK with a view to signing an agreement which nullifies the Armistice and sets the term of a bilateral “Peace Treaty”. In turn this agreement would set the stage for the exclusion of US military presence and the withdrawal of the 28,500 US forces. What is presented above is a summary of a longer text prepared in the context of Prof. Michel Chossudovsky’s presentation at the Korea International Peace Forum’s June 10th commemoration conference, marking the 30th anniversary of the 1987 June Democratic Uprising (6월 민주항쟁), ROK National Assembly, Seoul, June 10, 2017.